HTTPS scanning is a component of Web Shield in Avast Antivirus. 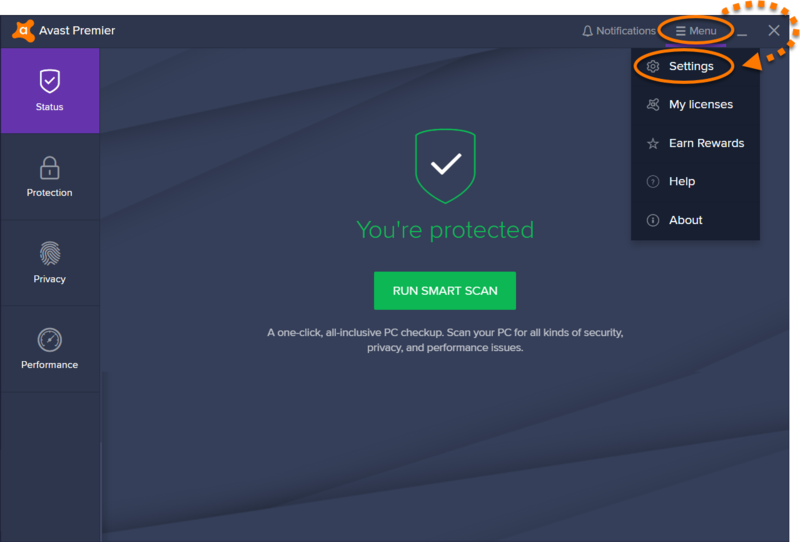 HTTPS scanning protects your PC against malware delivered by TLS and SSL encrypted HTTPS traffic when you browse the web. This feature is enabled by default, but you can disable it in Web Shield settings. 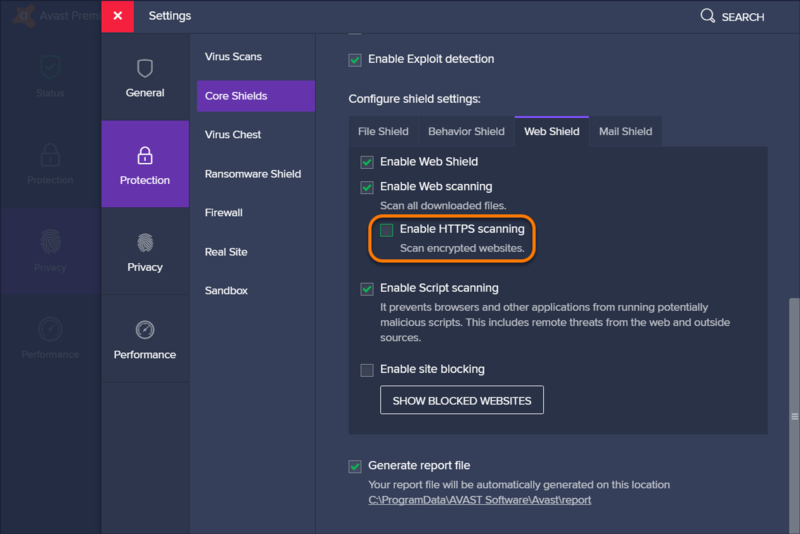 If you disable HTTPS scanning, any malware delivered by HTTPS traffic is hidden by TLS/SSL encryption and your computer is more vulnerable to threats. Select Protection from the left panel, then click Core Shields. Scroll to the Configure shield settings section, then select the Web Shield tab. Untick the box next to Enable HTTPS scanning to disable the feature. HTTPS scanning is now disabled. To enable it, follow steps 1-3 above, then tick the box next to Enable HTTPS scanning to enable the feature.